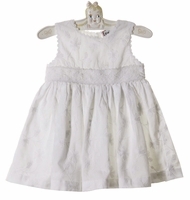 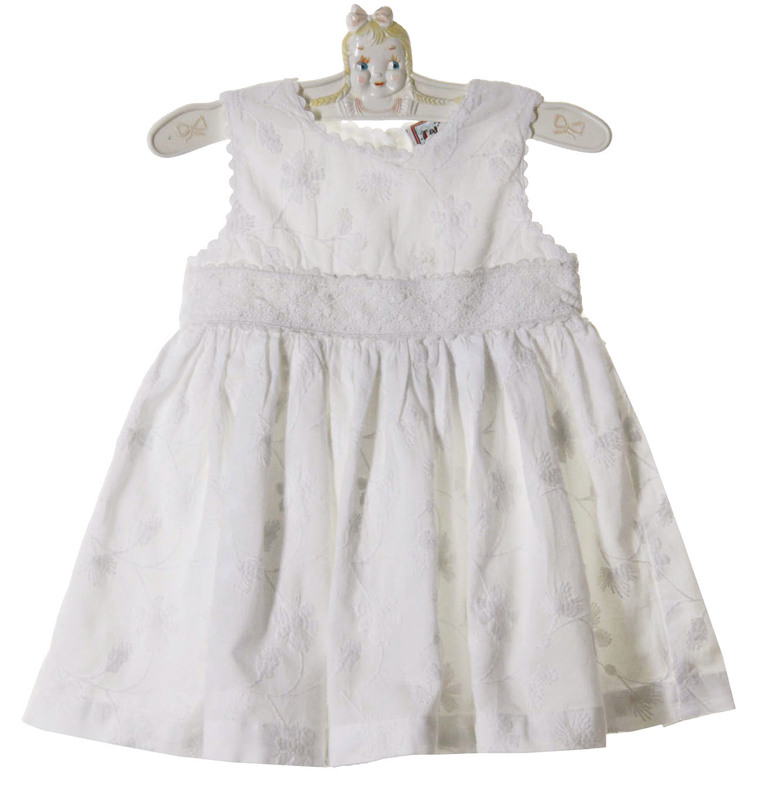 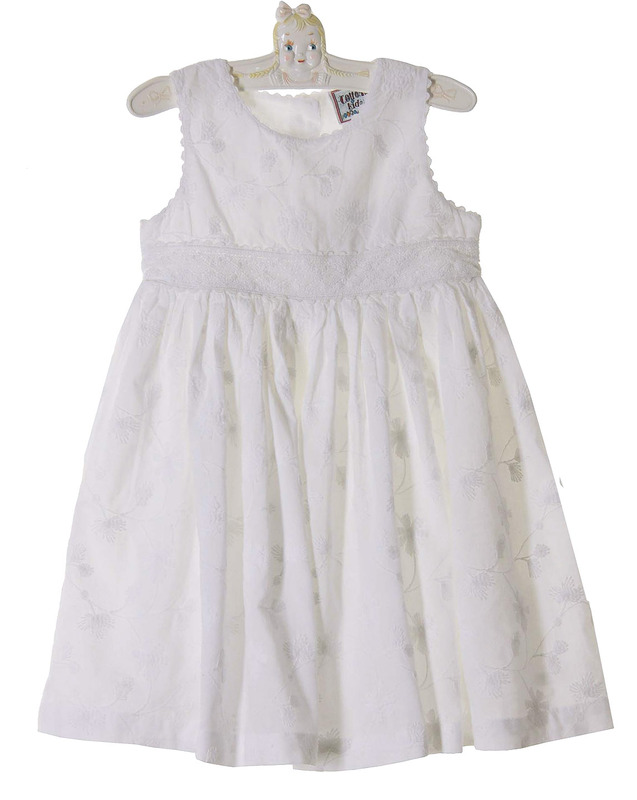 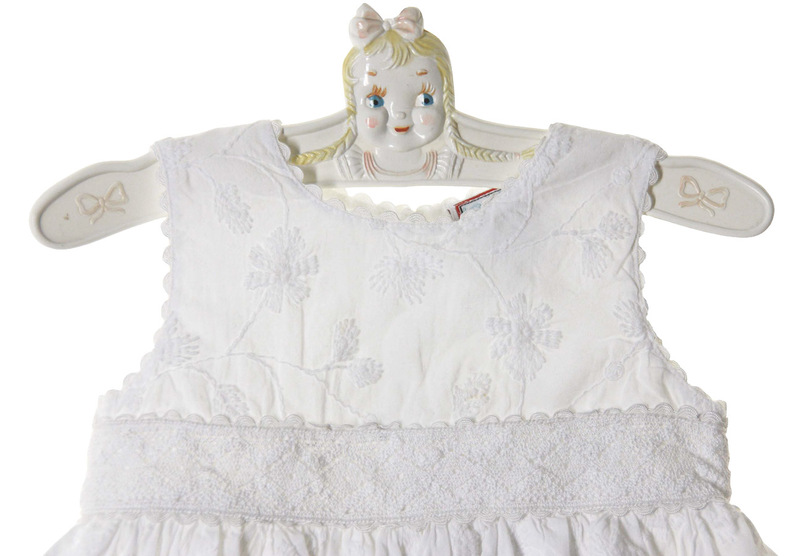 This darling white cotton embroidered eyelet dress is made by Cotton Kids, a leading manufacturer of classic children's clothing. Perfect for a baptism or beach portrait, this sleeveless dress has a band of white crocheted lace at the waist. 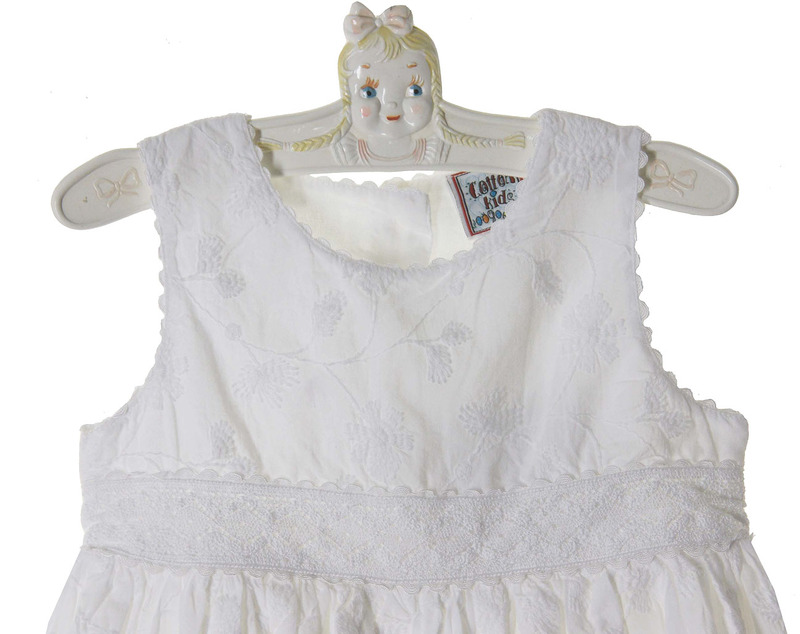 Flower shaped buttons close the back. Sizes 3 months to 24 months come with matching diaper cover.